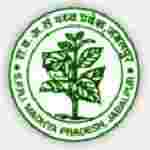 SFRI recruitment 2018 notification has been released on official website www.mpsfri.org for the recruitment of 04 (four) vacancies for Scientist (SB). Job seekers should apply on or before 28th February 2018. Here on this page you will get the details like the Name of vacancies released by SFRI with exact number of posts. Some other criteria like Education details, application fee and way to apply application for SFRI recruitment 2018. Educational Qualification: Master Degree in Forestry / Wildlife Science / Life Science / Environmental Science / Remote Sensing & GIS / Geo-Informatics with 60% marks from recognized University with 05 years experience in the field of Remote Sensing and GIS. Age Limit: The age of candidate should be between 21 to 35 years as on 01.01.2018. Fee charges: Applicants who wanted to participate for SFRI should pay the below charges through Demand Draft in favour of Director, State Forest Research Institute, payable at Jabalpur. Interested and eligible aspirants should apply in prescribed application form along with copies of all necessary documents & self-attested passport size photograph send to The Director, State Forest Research Institute, Polipathar, Jabalpur – 482008 (Madhya Pradesh) on or before 28.01.2018.